Same quality and performance achieved with all Aramith brand billiard balls. Notice the number is located in the field making this ball less expensive to produce yet providing the quality & performance necessary. For almost half a century, over 80% of all pool players around the world have chosen Belgian Aramith balls. Made from the famous Aramith phenolic resin, the pool balls are a combination of unique craftsmanship and high-technology providing consistent superior quality making Aramith premier balls sets popular. 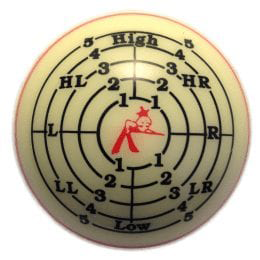 The Aramith premier balls set provides the ultimate in balance, perfect rebound, worldwide endorsement, burn spot resistance, high impact resistance, exceptional longevity, durable brightness and the sound of quality is what you can expect. 7 ball, 8 ball and 9 ball are popular billiard pool games. 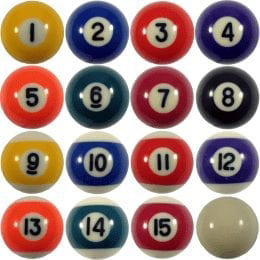 7 and 9 ball pool are quick games for equally matched players with common rules such as race to 9 where the winning player wins 9 games first. 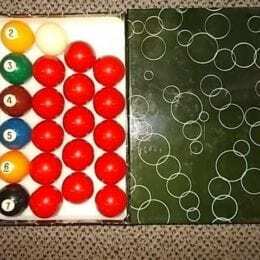 8 ball is a much more commonly played billiard game where the first player to run through the solid or stripe balls and then successfully pocketing the 8 ball wins.